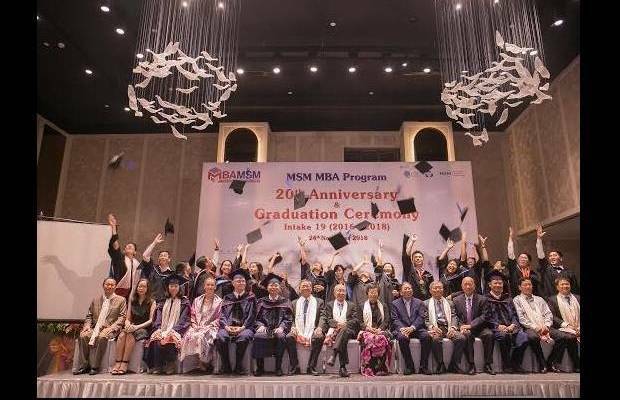 MSM’s Dr. Vincent Feltkamp recently attended the Graduation Ceremony at MSM’s educational partner School of Industrial Management (SIM) in Ho Chi Min City, Vietnam. The ceremony also marked the 20th anniversary of the MSM - HCMC University of Technology (HCMUT)/SIM partnership. After the opening of the ceremony by SIM’s Program Director Prof. Dr. Nguyen Thu Hien, Associate Prof. Dr. Mai Thanh Phong, Rector of HCMUT, and Dr. Duong Nhu Hung, Dean of the School of Industrial Management addressed the audience and congratulated the students with their great achievement. Mr. Stoessel, Member of the Board of SIM who initiated the collaboration between MSM and HCMUT, looked back at 20 successful years of partnership. Alumni of intake 1 and intake 3 shared their personal stories with the audience reminiscing on their time in the joint MBA program. Dr. Feltkamp took the opportunity to congratulate the fresh graduates and HCMUT/SIM with the partnership. After his speech he awarded the degrees together with the Dean, Dr. Duong Nhu Hung. The graduates enlightened the audience with a mime performance representing the transformational experience they went through. The graduates also performed a dance. 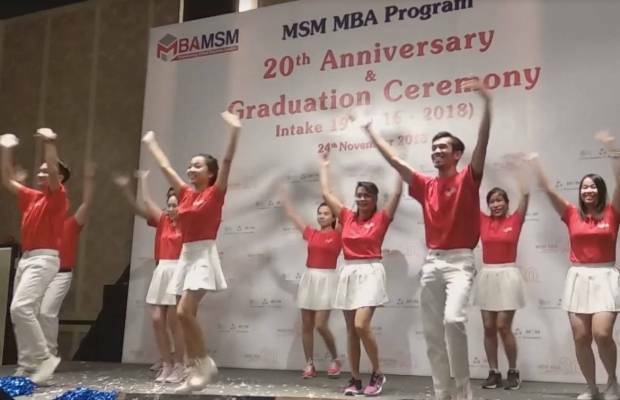 The joint MSM-SIM Vietnam MBA program started in 1998. MSM and HCMUT/SIM jointly offer an Executive MBA with specializations in Multinational Strategic Management taught at the SIM campus in Vietnam. Students can also choose to follow their specialization course at MSM in The Netherlands giving them the option to follow courses in either Healthcare Management, Entrepreneurship, International Business and Sustainable Development or Accounting & Finance. The celebration of the 20 years of partnership between MSM and HCMUT/SIM will be held in Vietnam on 8 December 2018. At this special occasion all representatives of the 21 intakes of the MSM MBA Vietnam are expected to gather for the first time.